Does Dramatica explain the difference between Western and Eastern lucky numbers? In Western culture, 7 is lucky, while 3 is often considered unlucky (bad things come in threes) or at least important. 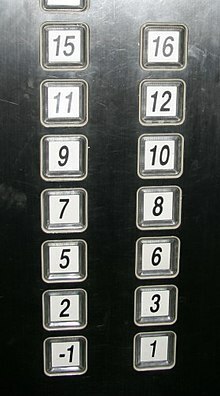 In Eastern culture (Chinese culture, at least), 8 is lucky, while 4 is considered unlucky. If you look at a quad holistically (Eastern view), you see all four elements. But from the linear/male perspective (Western view), because you're standing on one of the elements, you only see three. So both see something lucky about two quads (8) and unlucky or at least important about one quad (4), but in Western view you subtract the element that you're standing on. Thus 7 and 3. There might also be something to unlucky 13 (three quads plus one element), but that's more of a stretch. Of course there are a lot of other lucky numbers around the world. Some cultures might include both linear and holistic lucky numbers, or use other reasons than psychology/storymind (e.g. lingual - a number that sounds like "death" might be considered unlucky). 3, 7 & 4, 8 are the ones I've heard the most though. I’ve seen one of Melanie’s articles suggest it’s the reason phone numbers are seven digits. Because we have a quad for space and a quad for mind, and that we place ourselves in one box, leaving seven spaces open for memory. I’ve also seen it suggested that Holistic problem solvers blend Knowledge and Ability the way Linear problem solvers blend Desire and Ability (because they see themselves in one box of the quad) so I’m thinking Dramatica theory would have easterners subtracting a boxthat they are standing in as well. But perhaps their more Holistic nature allows them to sense the box they are standing in? Also, I never thought of three as unlucky because we also say third times a charm, and the Trinity (though I suppose many would not see the latter as a good thing). I’ve thought of three more as a number of completion since both good and bad things seem to be about the threes. It’s also how many instances of an event we need to tell a tale or a joke (a priest, a rabbi, and a whatever walk into a bar). I imagine that could be explained by the way we stand in one box of a quad. There’s an interesting moment in the Sherlock series where one character says he looked all over for something and lists three places he checked. Then Sherlock asks why we always stop at three and shows the item to be in a fourth place. That seemed very Dramatica. 4 is unlucky in Chinese because it sounds the same as the word for death... or at least very similar. Adding this link, because I found it slightly entertaining. In Chinese tradition, certain numbers are believed by some to be auspicious (吉利, pinyin: jílì; Cantonese Yale: gātleih) or inauspicious (不利, pinyin: bùlì; Cantonese Yale: bātleih) based on the Chinese word that the number sounds similar to. The numbers 6, 8 and 9 are generally considered to be auspicious, while 4 and 7 are considered inauspicious. The number 0 (零, pinyin: líng) is the beginning of all things and is generally considered a good number. Well, phone numbers were seven digits in the old days. But since you always have to dial an area code, not really. Where I grew up, they were five digits in North Idaho.